Turkey will open an embassy in Asuncion in a show of support for Paraguay's stance on Israel. Turkey will open an embassy in Asuncion, Paraguay, the South American country said on Thursday, according to Reuters. Turkey’s move comes a day after Paraguayan President Mario Abdo reversed the previous administration’s decision to move its embassy in Israel to Jerusalem from Tel Aviv. The Paraguayan embassy was relocated to Jerusalem in May. With the move, Paraguay followed in the footsteps of the US and Guatemala, which unveiled its new Jerusalem embassy on May 16, two days after the US relocated its embassy to Jerusalem. On Wednesday, however, Castiglioni announced that the embassy would move back to Tel Aviv, explaining that "Paraguay wants to contribute to an intensification of regional diplomatic efforts to achieve a broad, fair and lasting peace in the Middle East." In response to the announcement, Prime Minister Binyamin Netanyahu instructed the Foreign Ministry to return the Israeli ambassador to Paraguay back to Israel for consultations, and to close the Israeli embassy in Paraguay. The Palestinian Authority (PA) welcomed Paraguay’s decision and announced that it would be immediately opening an “embassy” in Paraguay's capital Asuncion. That Turkey backs the Paraguayan move is not much of a surprise, since tensions between Turkey and Israel have escalated in recent years. Israel and Turkey signed a comprehensive reconciliation deal in 2016, ending a six-year diplomatic standoff following a violent encounter between Israeli soldiers and Islamist radicals on a ship attempting to break through the security blockade on Gaza. However, Turkish officials, and particularly President Recep Tayyip Erdogan, have continued to verbally attack and criticized Israel even after the agreement was signed. 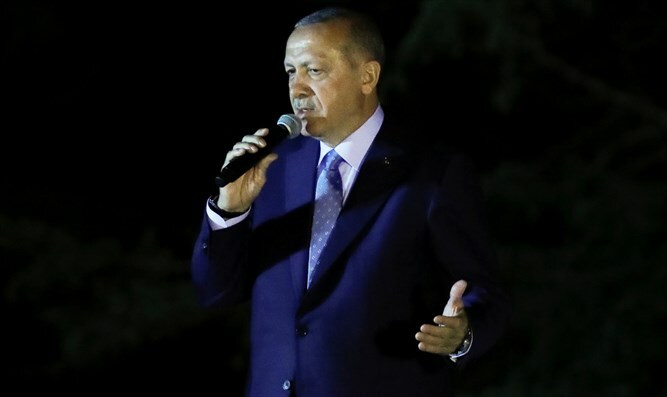 Most recently, Erdogan compared Israel to Nazi Germany, after Israeli forces opened fire on Gazans attempting to breach the Israeli border fence.